This is so good. I'm hoping to turn it into a game. Yep, that was the idea. Specifically the first level of Alex Kidd in Miracle World. Fantastic memories on my big brothers Amiga 500. Looking forward to your Shadow of the Beast sprits Surt :) Thx again! 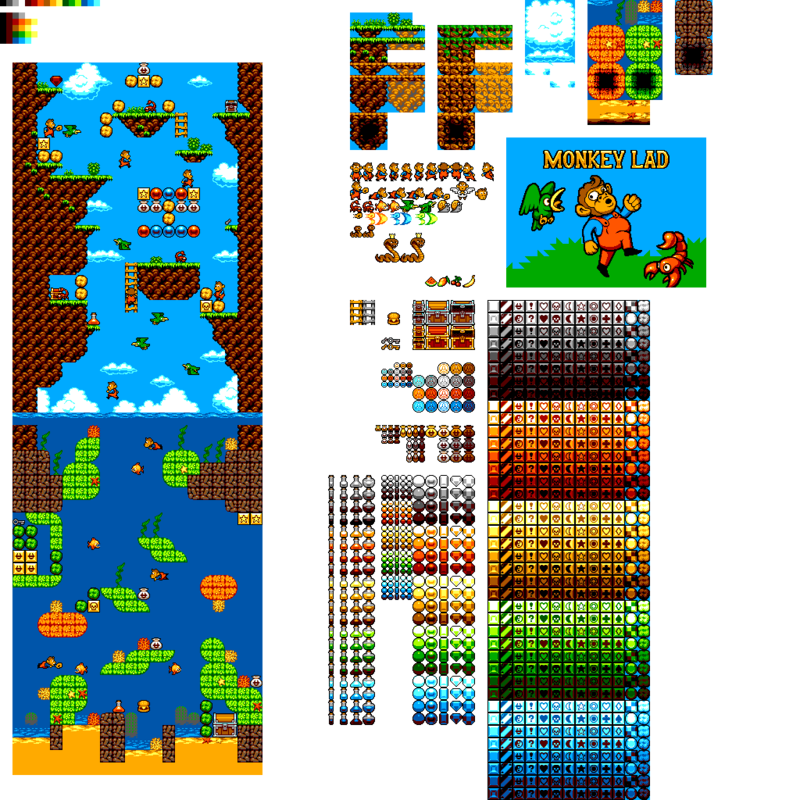 I'm curious to know what game that would have been as I'm not familiar with any Alex Kidd-like game on amiga. I've credited you on the itch.io page and in the game title screen. Thanks again! I used the fish for my entry into this year's OpenGameArt Summer Game Jam. Anyway, thanks again for sharing, you're truly among OGA's finest! Love it ! Can I use these assets in a commercial project ?